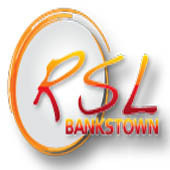 he Canterbury-Bankstown Junior Rugby League (CBJRL) have announced a series of player, coach and team activities for the 2019 season that goes on top of the standard player registration - free of charge. 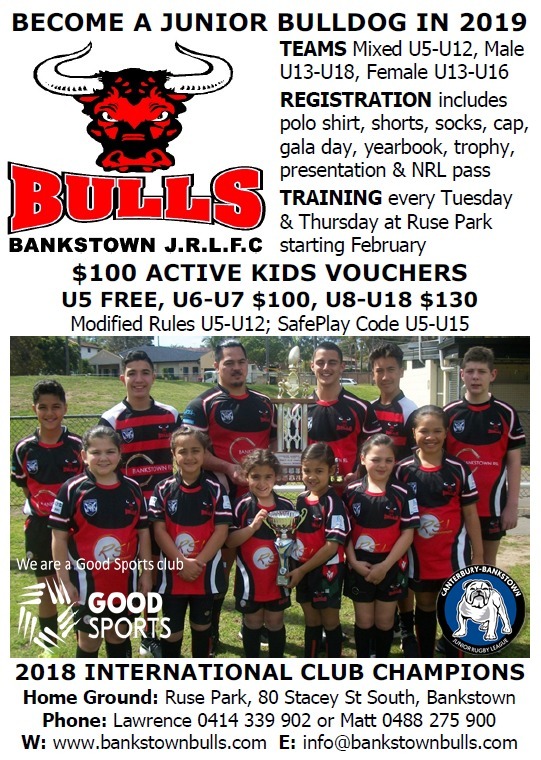 With the new initiatives implemented by the Junior Bulldogs the Bankstown Bulls Executive would like to thank Lynne Anderson & the Bulldogs board, George Coorey & the Leagues Club board, Nathan Mairleitner & the Junior League Administration, Gareth Holmes, Mark Hughes, Dean Pay and the Bulldogs NRL squad. 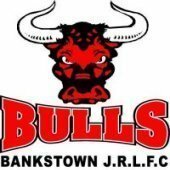 Due to the Junior Bulldogs not charging any affiliation fees - all players in our Under 5's for players starting at 4 years of age and players born in the year 2014 can register with the Bankstown Bulls FREE of charge. Registration includes polo shirt, shorts, socks, cap, gala day, presentation, trophy and yearbook - all FREE. 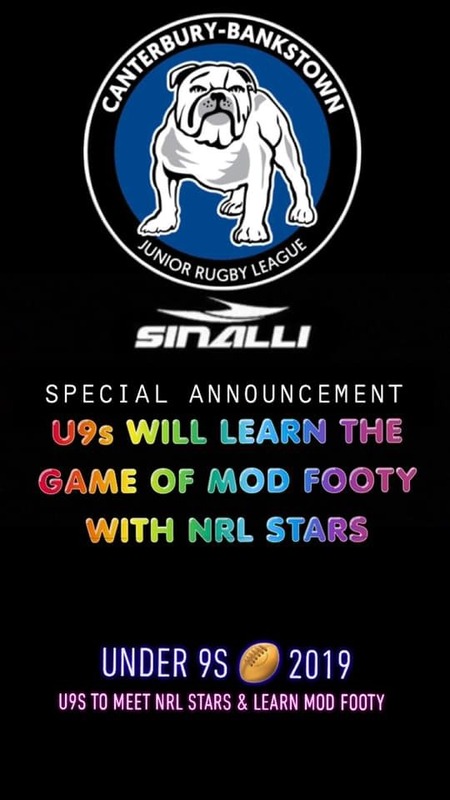 Named in honour of one of the all-time legends of the game the Under 6 season will conclude with the Terry Lamb Gala Day at Belmore Sports Ground on Saturday 3rd August followed by bus delivery of all players to the Bulldogs home game against Penrith at the new Parramatta Stadium. This is an added bonus to the standard registration. On Sunday 24th March the Under 7's will be part of the season launch when the Bulldogs take on the Eels at ANZ Stadium. All registered Under 7 players will do a lap of honour around ANZ Stadium in their full club colours to launch the season two weeks prior to Round 1. 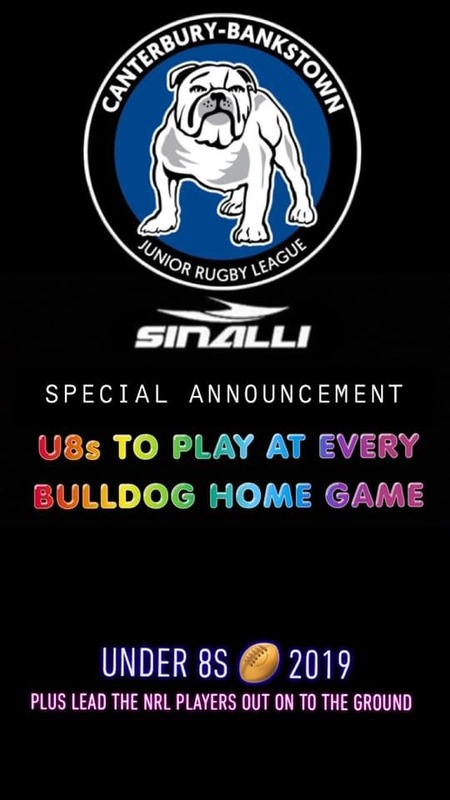 The Under 8's tradition of playing at Bulldogs home matches as well as be part of the Guard of Honour will continue in 2019. This has been an ongoing tradition and the Bulls have constantly supported this event in years gone by and will continue to do so in 2019. Under 9 is the final year of Mini Footy before Mod Footy begins for Under 10. Players and Coaches will be given the opportunity to learn the transition in advance as well as meet NRL stars in the process. 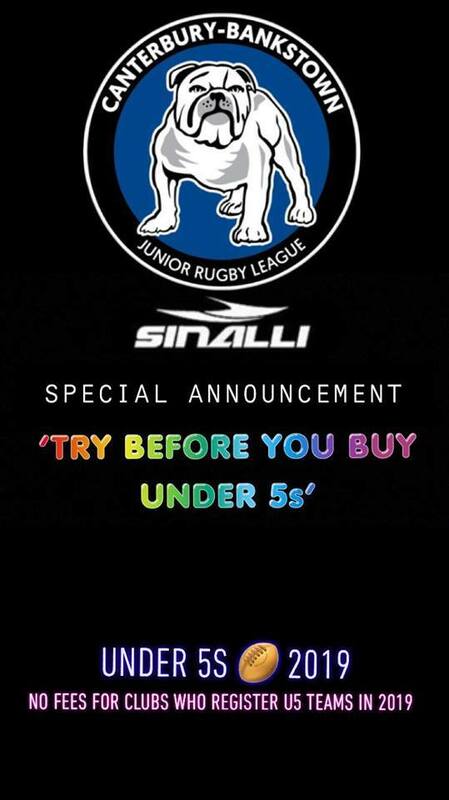 The Bulls will be fielding two Under 9's sides in 2019 with both coaches having previous experience at coaching or training older aged sides. 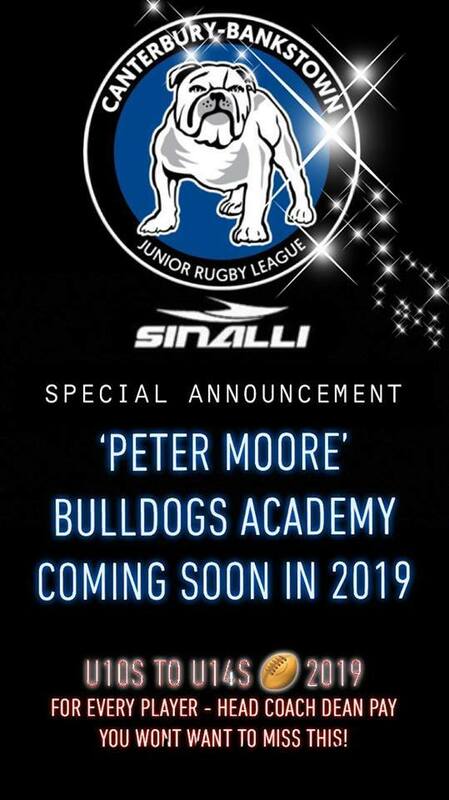 Headed up by Bulldogs NRL coach Dean Pay the Bulldogs NRL squad and coaching staff this is an amazing opportunity for all Bulls players in the Under 10 to Under 14 squads as well as Super 15 players born in the year 2005. Players and Coaches at the Bulls will get to learn from Dean Pay who as a player won a premiership with the Bulldogs and won State of Origin and Test matches at representative level. It's an inclusive event for all registered Bulls male and female players born in the years 2005-2009. 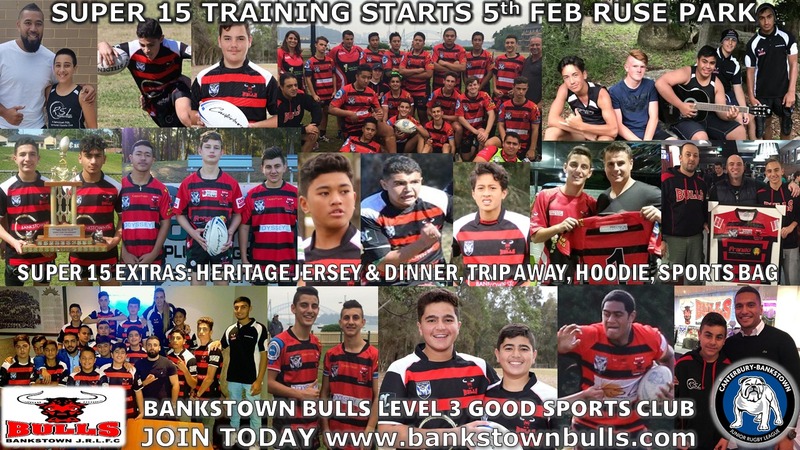 Whilst the Bulldogs have no official clinics for the Super 15, our players and officials they're not to be outdone with the Bulls Executive confirming the Super 15 experience will once again be available for players born in the years 2004-05 that play in our Super 15 side. On top of the standard registration benefits of polo shirt, shorts, socks, cap, gala day, presentation, trophy, yearbook & NRL pass players in the Super 15 will receive the club's heritage jersey, official club season dinner launch, hoodie, sports bag and trip away. The Super 15 honours the Bulls tradition of years gone by and the 2019 Super 15 will be following in the same path. A large portion of Bulls players in these age groups have made development squad and representative teams where the Bulls lead the way with player development and getting players to the next level. The club will be fielding two sides in the Under 16, two sides in the Under 17 and one side in the Under 18. 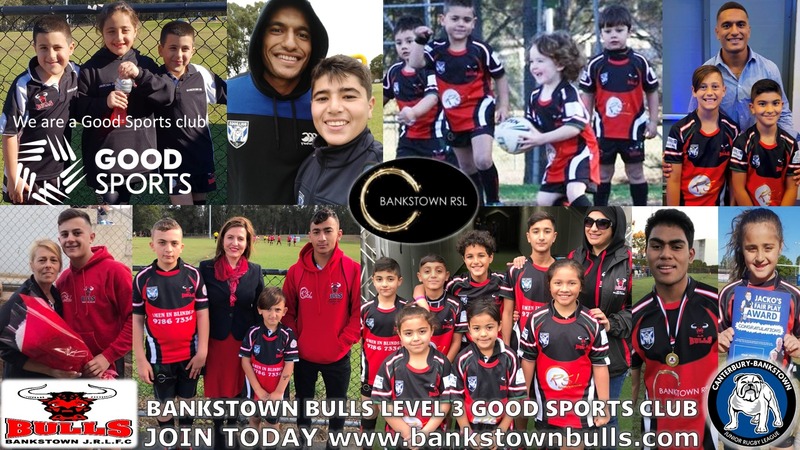 The Bankstown Bulls Executive are pleased to confirm the Bulls are officially a Good Sports Level 3 Club. For embracing the Good Sports values; For providing a positive, healthy and family friendly sporting experience for all; and For contributing to reducing alcohol related harm in the community. 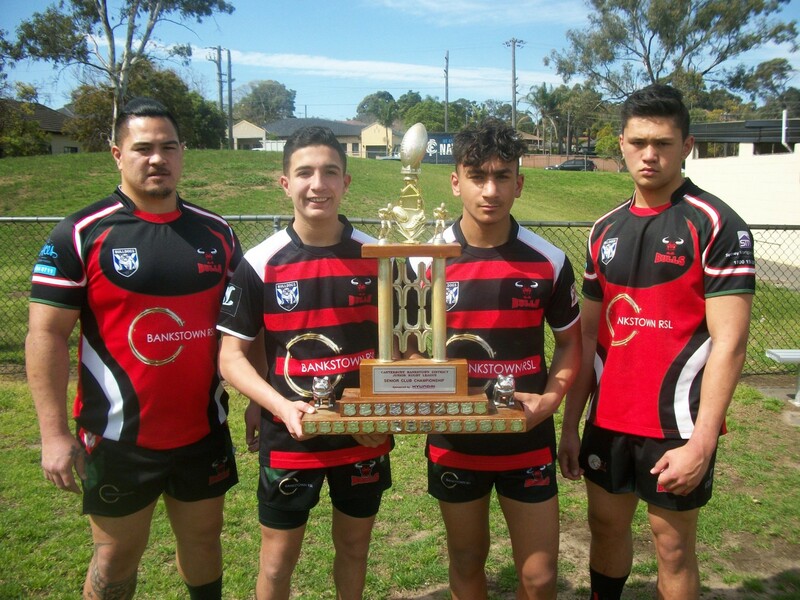 A big thanks to all who contributed and in particular to Bulldogs NRL player & Bulls junior Marcelo Montoya. The coaches for the 2019 season have been confirmed with some vacancies still place where we need coaches. Contact a member of the Executive if you're interested in coaching. 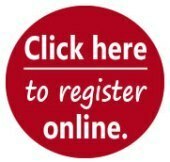 Online Registrations are now open. All players upon registration will receive polo shirt, shorts, socks, gala day, presentation, trophy, yearbook, NRL season pass (u5-u15), Bulldogs season pass (u5-u18) and much more.